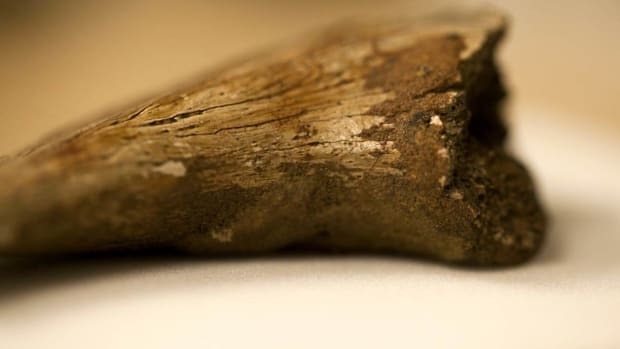 A Montana elk hunter’s fossil find has led scientists to a new species of elasmosaur, the long-necked prehistoric sea creatures who roamed the inland sea east of the Rockies 70 million years ago. David Bradt was hunting elk at Montana’s Charles M. Russell National Wildlife Refuge in November 2010 when he ventured into a canyon. As he later told Matt Volz of the Associated Press, Bradt was bending over a creek to splash some water on his face when he saw what looked like petrified wood growing out from some rock. When he looked closer, Bradt realized what he had thought was wood was in fact the fossilized vertebrae of some kind of large animal. After taking photos, Bradt reported his find to both the U.S. Fish and Wildlife Service and the Museum of the Rockies in Bozeman, Montana. Researchers took three days to completely excavate the fossils, but the process of cleaning and examining them would last much longer. Now, nearly seven years later, they have been able to identify the well-preserved specimen as a smaller, previously unknown species of the marine reptiles known as elasmosaurs. 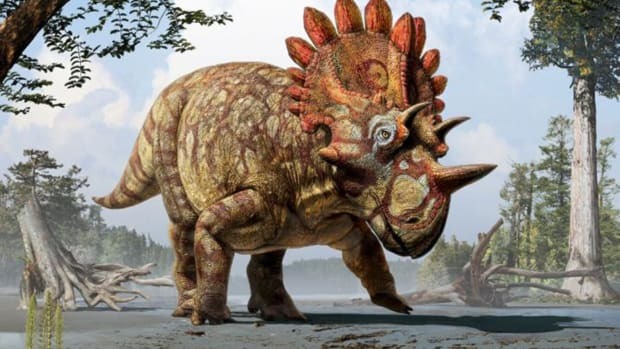 The skeleton was about the size of a cow, and initially Bradt had thought it might be some kind of dinosaur, perhaps a triceratops. But what he didn’t know was that back in the late Mesozoic era, some 70 million years ago, an ocean covered the region where he was now hunting. In fact, the massive body of water stretched across the distance from Montana to Minnesota, and from Canada to the Gulf of Mexico. 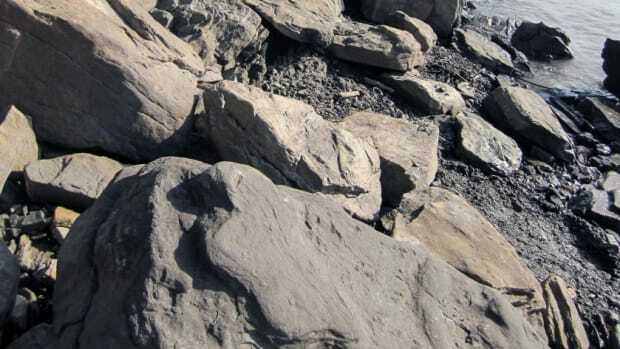 Though it teemed with various marine reptiles, relatively few of their fossils have been excavated compared with their more famous landlubber counterparts—the dinosaurs. Elasmosaurs belong to the group known as plesiosaurs, the long-necked, meat-eating marine reptiles of the Mesozoic. 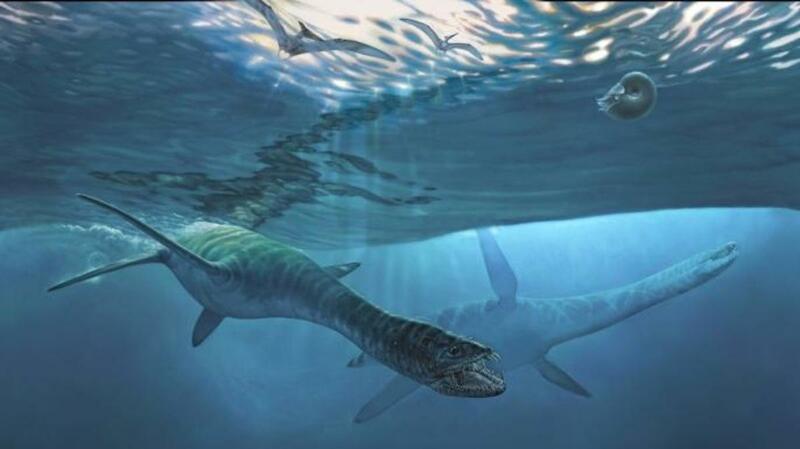 They had broad, flat bodies and paddle-like limbs that could grow up to 30 feet long, which they used to navigate their watery environment. 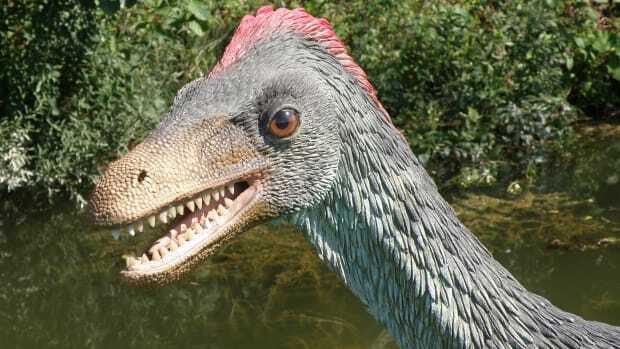 Though they were so heavy that they could not raise their bodies above the water, their terrifically long necks and tiny heads allowed them to approach unsuspecting prey without alerting them. 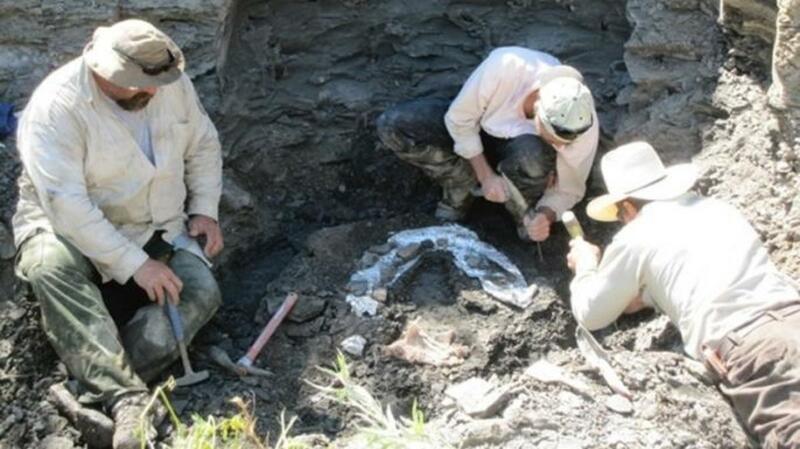 While scientists have uncovered elasmosaur fossils all over the world, the one Bradt stumbled on in Montana is quite different, according to findings published last week in the Journal of Vertebrate Paleontology. Most known elasmosaurs had long necks, measuring up to 18 feet long, with as many as 76 vertebrae. The neck of the new species, in contrast, was only about 7 ½ feet long. 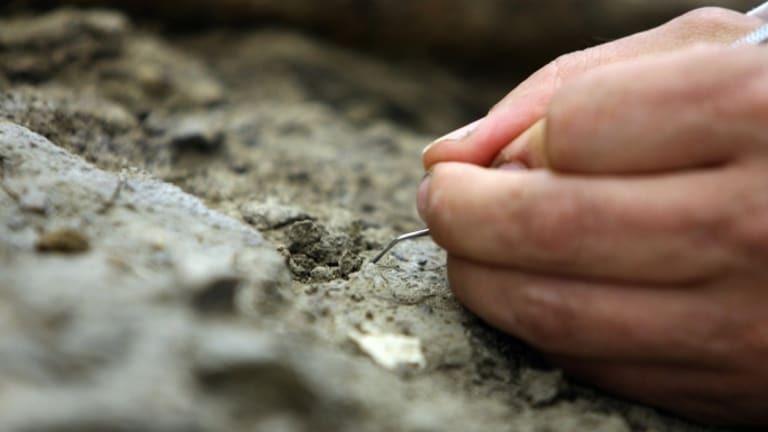 “What absolutely shocked us when we dug it out — it only had somewhere around 40 vertebrae,” Patrick Druckenmiller, co-author of the article and a paleontologist with the University of Alaska Museum of the North, told the Associated Press. 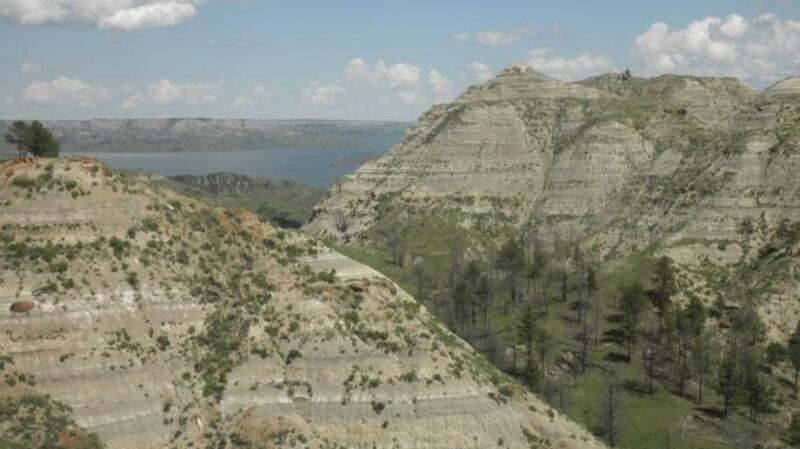 Scientists have named the newly identified find Nakonanectes bradti, in honor of the Nakona people of northeastern Montana and Bradt, who discovered the remains. 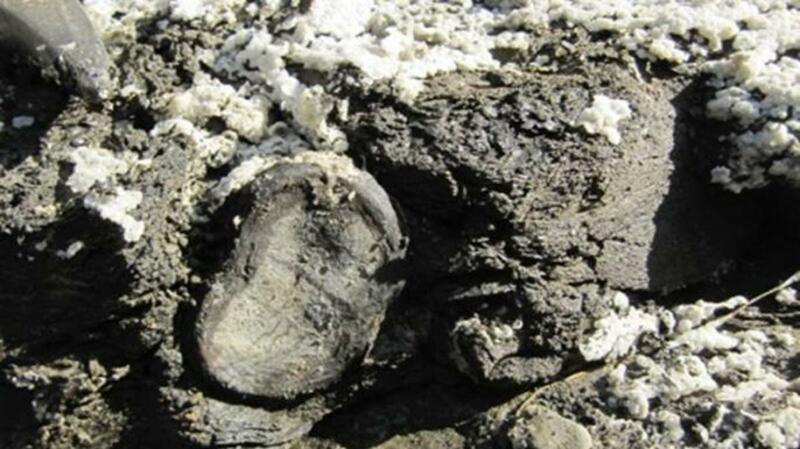 It appears to be one of the smallest adult elasmosaurs ever discovered, and its remains are extremely well preserved. Scientists were able to identify a complete skull, 23 of its cervical vertebrae, most of its dorsal and caudal column, pectoral and pelvic girdles and parts of its limbs and ribs. 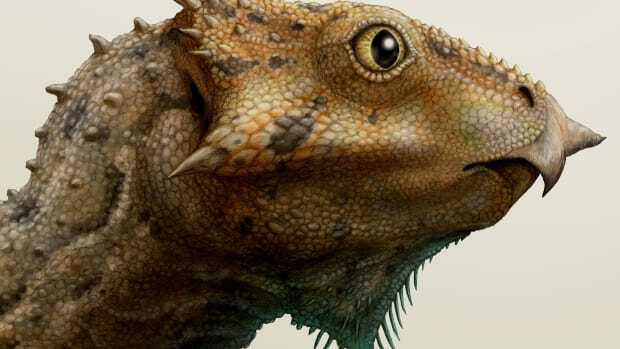 The new discovery has been able to put to rest at least one existing theory about elasmosaurs—the idea that they evolved their super-lengthy necks over millions of years. 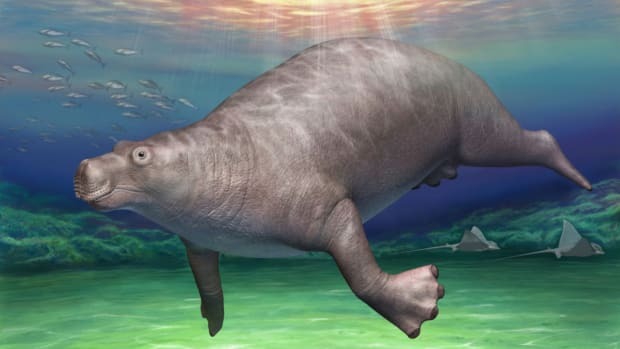 The smaller species is believed to have lived around the same time, and in the same area, as other larger elasmosaurs known to scientists, which clearly contradicts that earlier theory of how the “sea dinosaurs” evolved.